Before he resigned as CEO, Martin Sorrell gave PRWeek his thoughts on the PR industry and WPP's agencies in the PR and public affairs sectors. 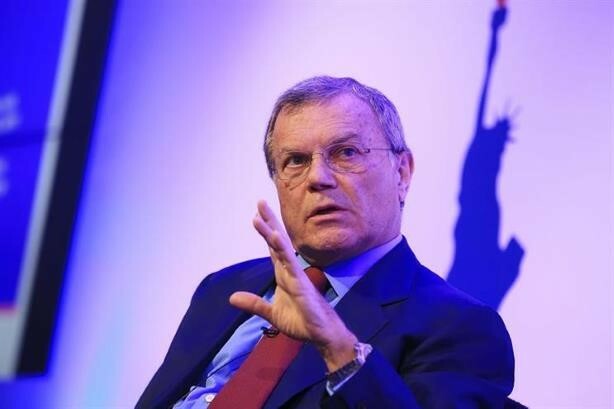 Martin Sorrell outlined his views about the PR sector in an email interview with PRWeek. Before he stood down as CEO of the world's largest marketing services holding company, Martin Sorrell spoke to PRWeek via email about his opinion of the group's PR agencies' performance in 2017 and his expectations for the year ahead. Procter & Gamble reduced marketing spend by $750 million and cut partner agencies from 6,000 to 2,500. Others are following suit. With Mediapalooza 2018 in full swing, reduced fees on the cards, and procurement departments scrutinizing spend harder than ever, what is the future of agency holding companies? This is not a question of the holding company model, but a question of the effectiveness of advertising and marketing spend in the new world of Google, Facebook, and Amazon. And the answer is that the direct link between investment in marketing services and commercial success has not been broken. The fundamentals of our business remain strong. But don’t take my word for it. Pivotal’s Brian Wieser says: "It should never be all doom and gloom for agencies. They continue to contain vast networks of entrepreneurial individuals, most of whom are capable of continuously finding new ways to generate revenue. They continue to offer unique value by offering best practices, scale where it matters, and best-in-class expertise on a wide range of disciplines." No other company has the diversity or depth of talent and capabilities WPP has. Our own analysis supports this thesis. A dollar invested in the world’s top 10 global brands would have outperformed the Standard & Poor’s 500 by over 70% during the past 10 years. No other company has the diversity or depth of talent and capabilities WPP has. Nor do they have the same skill and experience in deploying that talent. The most successful agency groups will offer simplicity and flexibility as well as scale to deliver effective solutions — therefore growth — for their clients. We’ve already simplified many of our agency verticals, including merging Burson-Marsteller and Cohn & Wolfe, and looking ahead we will continue to make changes that allow us to leverage our collective expertise for client benefit. What impact will cash windfalls from lower U.S. corporate tax rates and cash repatriation have on PR and marketing services? Will "all ships rise," resulting in higher marcomms budgets? If not, why not? It should provide a boost, although some of the funds repatriated will be allocated to share buybacks and special dividends rather than funneled directly into marketing budgets. Infrastructure and longer-term capital projects are also likely to benefit from an uptick. We will then see a portion recycled into companies’ P&L for marketing and research and development projects as all this finds its way into the economy. There is already some evidence of repatriated cash being recycled into minimum wage payments, pension funding, and bonuses. What’s the outlook for PR in 2018? On the surface, the U.S economy is booming — why aren’t companies investing more in PR and marketing? Will the World Cup, Winter Olympics, and U.S. midterm elections help or hinder WPP’s agencies? Business confidence is stronger in Trump’s America, but a closer examination of S&P 500 companies’ revenues reveals that strong top-line growth is not universal. In theory, the Winter Olympics, World Cup, and U.S. midterm elections should all trigger more investment in comms. However, growth in marketing spend seems to have decoupled somewhat from GDP growth in the mature markets in the last year, perhaps temporarily. Nonetheless, for those PR and public affairs businesses that offer scale and breadth of capability alongside the flexibility, speed, and efficiency that clients expect (as ours do), the medium- to long-term future is bright.